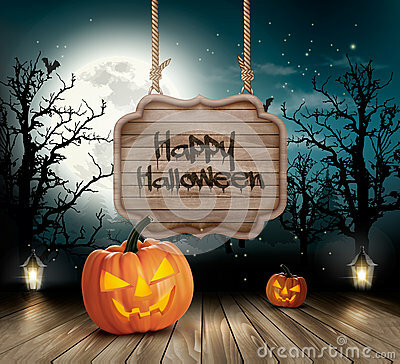 Stock image of scary halloween background with a wooden sign. stock image of Set of Colored Coffins with Devil Wings for your Design, Game, Card. Halloween Elements.Vector Illustration. stock image of Wooden signboard with smiling halloween pumpkin, witch hat and pile of pumpkins.